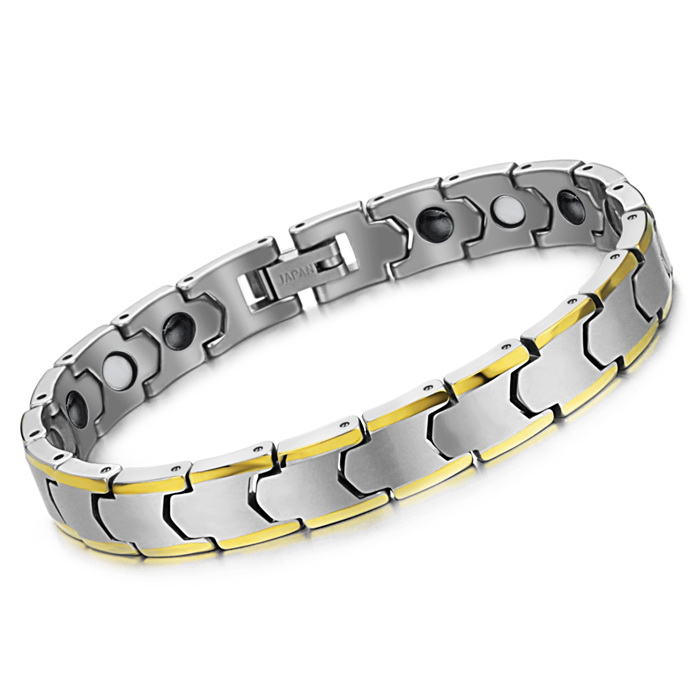 This very stylish, Unisex Tungsten Carbide Bracelet with Gold trim is a great new addition to our line of Tungsten Bracelets. This is 100% solid tungsten so there is no need to worry about it scratching or tarnishing, even if you are rough with it. Specs: 7.5" inches | 9mm wide | Weight 37 grams Count on Tungsten Fashions to give you the quality and service you deserve! As always, this comes with 30 day money back guarantee and free shipping! Q: Im a man, how do you size the bracelet ? 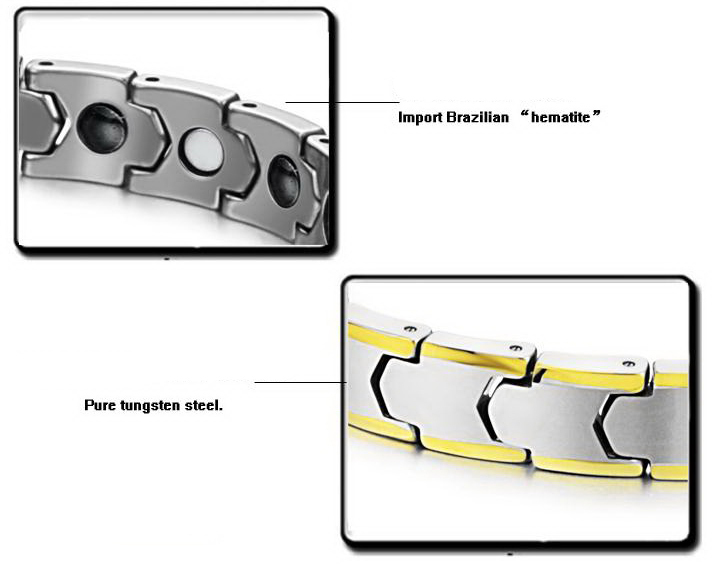 The bracelet comes in 7.5", 9" or 12". Just let us know what size you need and we will take care of the rest! The links are removable so you can adjust the size. I hope this helps! Q: how are bracelets sized? A: The bracelet comes in 7.5", 9" or 12". Just let us know what size you need and we will take care of the rest! The links are removable so you can adjust the size. Thank You! 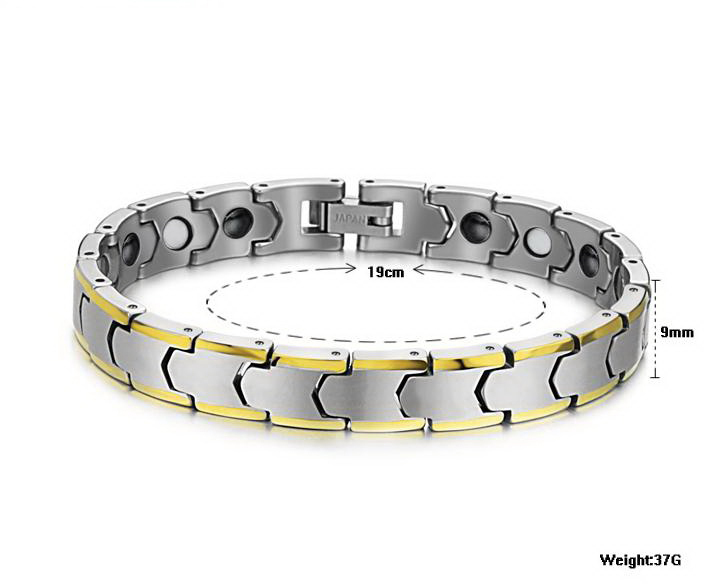 Q: can this bracelet be sized as I have a small wrist ? Q: Is it possible to adjust the sizing by removing a single link if required? Very high quality,looks like it cost a fortune,and fits perfectly. Shipping was very fast and service from the seller was exceptional. My second purchase and I'll be back for more. Great bracelet. Brought for my wife who likes both silver and gold. She loves it because she can now wear with either silver and gold jewelry. I like the bracelet very much, very nice piece. I still waiting for the second bracelet. Ready to order more items. This is my second purchase of a tungsten product, and it is every bit as good as the first. Great looking and great quality. Beautiful piece. Looking forward to adding more pieces to my collection. 1st Bracelet and will be getting another! Solid, Heavy and Clean. We purchased a few other rings from you guys and this was our first bracelet - we love it! Thank you for a great transaction and we have already told out friends and family about Tungsten Fashions! Will be purchasing more! Excellent product. Better than I expected. Beautifully done. reai nice will buy more. Outstanding, very high quality bracelet. Recommendation 5 / 5 Stars.